It would take many lifetimes to fully explore and understand Beijing, a vast metropolis of 22 million residents, located in remote northeastern China. The city's history is epic, with human fossil records dating back more than 230,000 years and evidence of cities in the vicinity of modern-day Beijing as early as the first millennium B.C. 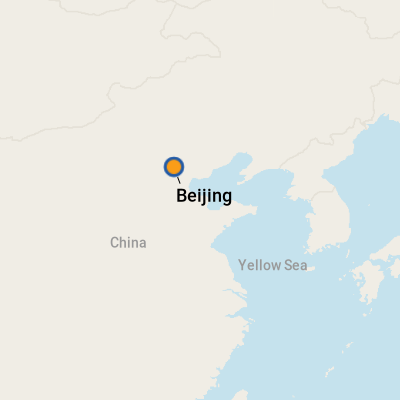 So, to make it digestible, let's focus on Beijing now -- the noisy, dense, beating-heart center that has kept China dominating the headlines -- playing host to an iconic revolution, the country's first-ever Olympic games and more delectable Peking ducks than you can shake a chopstick at. Home to scores of monuments of great cultural or historic merit -- including Tiananmen Square, the Forbidden City and the Temple of Heaven -- Beijing is a must-visit city on any Asia cruise. Plus, maybe you've heard of that big old wall they made a few millennia ago in an attempt to keep invading Mongols at bay. Beijing is also the most convenient jumping-off point for tours to the famous Great Wall of China. As Beijing is often an embarkation or debarkation destination for cruise ships, it's easy to tack on extra time there in order to see and do as much as possible. Or, if you're overnighting there midcruise, as some lines do, by all means book a hotel in Beijing rather than schlepping back to your ship. For any first-time visitors to East Asia, China -- and Beijing, in particular -- may come off as overcrowded, polluted and dirty, but visitors who can get past Beijing's no-apologies grittiness will find the city has much to offer. From the Old World hutongs (historic neighborhoods), which line the alleyways in a testament to what once was, to the innumerable eateries and great bargain shops and endless seas of people that define what is now, Beijing will surely keep you busy taking it all in. For Beijing's best weather, visit in September and October, when you'll encounter warm, sunny days with clear skies and cool evenings. Springtime is also a great season to visit, unless you're super unlucky and get stuck in a sandstorm blowing down from the Gobi Desert in the north. Beijing is oppressively cold in winter and predictably hot in summer. Consider avoiding China's major extended public holidays (Chinese New Year in winter, National Day in October and Labor Day in May), as huge swaths of domestic travelers will be moving in all conceivable directions. Want to get in the mood for your visit? Watch movies like "The Last Emperor" and "Farewell My Concubine," to get a feel for China's history and tumultuous politics. For planning purposes, be aware that you will most likely have to go through customs and immigration clearance when going ashore, much as you would when entering the country at an airport. This process can easily take 30 to 45 minutes or more, depending on the number of passengers, and participants in the ship's shore excursions typically get to go first. Be sure that you don't get this terminal confused with the Tianjin Xingang Port Passenger Terminal, which is 15 miles away. This terminal is mainly used for domestic ships, but may serve the rare international ship during peak season. When our ship arrived at Tianjin International Cruise Home Port, the place was a vast ghost town. At 9:30 a.m., nothing was open, not even the tourist information window. The following afternoon, when another ship was embarking passengers, a small convenience store and a shop selling sunglasses plus a few souvenirs were open. The tourist information window was manned, but with limited English spoken -- enough to tell us that the nearby ATM was never functional. On the second floor of the modern structure (built in 2010), we saw a hall lined with closed duty-free shops, blocked off by a metal gate. A ground-floor cafe was also closed both days when we were there. The port is in an isolated area, with nothing else around. As a city with more than 20 million people, Beijing can claim a higher population than some countries. What does this mean for you? People, people, everywhere. At all hours of the day and in even the most remote corners of the metropolis, Beijing is teeming with people. Traffic can gridlock at a moment's notice. You will witness old men hawking great mouthfuls of spit onto the sidewalk. Streets are sometimes littered with discarded packaging. Riding a bus or subway car crammed with so many people that you begin to question the health and safety of the operation is a common event. People will push you out of their way without thinking it's rude. In fact they probably don't even mean to be rude, they're just trying to get by. Don't be afraid to push back. This might all hark back to the days when China was operating under a more oppressive political regime and food and resources were scarce -- people had to fight their way through the crowds to survive then -- and the sentiment may long be ingrained in the psyche of the Beijinger today. At attractions which are popular with busloads of Chinese coming from the hinterlands -- particularly the Forbidden City and Badaling section of the Great Wall -- you may be of more interest than the scenery, since these folks often have never seen a real, live Westerner. Particularly if you have blond hair, you may be asked to pose for photos or find people wanting to touch your hair. Enjoy your celebrity! The Chinese government blocks many websites, including Google (and Gmail), Facebook, Twitter, YouTube, Instagram, Dropbox, The New York Times and many more on a constantly changing list. To get around the blockage, you can download a Virtual Private Network (VPN) app before entering China. This essentially makes it seem like you're connecting to the internet from outside China. Be wary of any unsecured internet connection in China; colleagues report that their email accounts have been compromised when online there. Squat-style toilets are ubiquitous throughout China. If you're in a public restroom that appears to have only squat toilets, look for the handicapped symbol on one door; that will likely be a Western-style toilet. While individuals will have personal views on the rights and wrongs of fake products, anyone who buys them should be aware of the legal issues. According to Customs Directive No. 2310-011A dated January 24, 2000, "Customs officers shall permit any person arriving in the United States to import one article, which must accompany the person, bearing a counterfeit, confusingly similar or restricted gray market trademark, provided that the article is for personal use and not for sale." The Directive also states that, "Customs officers shall permit the arriving person to retain one article of each type accompanying the person." In other words, you can bring only one watch, one bag, etc., of any sort, provided they are for personal use and not for sale. It is illegal to sell counterfeit goods, and anyone caught bringing back several, or large numbers, of the same items will have them confiscated and could be subjected to a fine. On Foot: There's plenty of walking when you get to destinations like Tiananmen Square, the Forbidden City and the Summer Palace. We don't recommend walking between sights, aside from Tiananmen Square and the Forbidden City, which are adjacent (use the underground passage to cross the busy street dividing them). As a pedestrian, keep an eye out for darting scooters and bikes. By Bicycle: Flat-as-a-pancake Beijing was made for bicycling. If you can afford the time to rent a bike, you'll be able to experience Beijing in a truly authentic way. By Bus: City buses are shockingly inexpensive, but, to ride them successfully, you will need to be at least adept in deciphering Chinese pictographs, as most buses do not offer English instruction. We don't recommend tackling this mode of transportation. By Subway: Beijing is home to the second-longest subway system in the world (bested only by Shanghai). Using the subway is easier than taking a bus; ticket machines have an English menu option, the lines are numbered and color-coded, and the stops and transfer points have Romanized signs for non-Chinese readers. Line 1 will take you to Tiananmen Square and the Forbidden City, while Line 4 can get you to the Summer Palace. With Beijing's traffic situation, you can often travel much more efficiently using the subway system. If you're planning to take several subway rides, buying a pre-loaded subway card (which includes a refundable deposit) will save you time waiting in line. Subway service begins around 5 a.m. but ends fairly early, at around 11 p.m.
By Taxi: Taxis are an affordable option, as well. However, don't expect your taxi driver to know English. Have a guidebook, map or card with your destination written in Chinese that you can show to the driver. Make sure the driver is using the meter, and don't get in a cab whose driver quotes a (usually outrageous) flat price to take you somewhere. There's no need to tip. One thing to note: Taxis are getting scarcer due to the proliferation of a ride service app called Didi, so you may need to have a hotel or restaurant call a cab for you in some instances. By Car Service: The "Chinese Uber," Didi, co-owned by internet mega-site Alibaba, is great -- if you know Chinese. Still, it may be a helpful app to have if you can get assistance from a local. China's currency is called the renminbi (RMB), which means "The People's Currency." RMB is legal tender throughout Beijing and mainland China. (Be mindful if you're also cruising to Hong Kong, as it operates on a different currency, the Hong Kong dollar.) For current currency conversion figures, visit www.oanda.com or www.xe.com. There is an ATM at the port, but it wasn't operational when we visited; workers at a tourism desk there said that was always the case. You can obtain money at ATMs throughout Beijing. 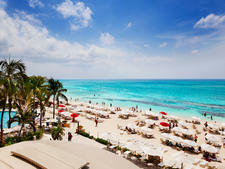 Money exchanging services can be found at some hotels, tourist-friendly areas and most banks. The official language is Mandarin. While knowing Mandarin (or traveling with a fluent companion) will undoubtedly enhance your experience in Beijing, speaking only English need not preclude you from getting a healthy taste of the city. Any hotelier who makes business of Western travelers will have staff that speak decent English, and there are a great number of restaurants and bars that offer English or picture menus. Most establishments that cater to travelers have their address in Chinese characters displayed on their website. It's a great idea to print this out in advance if you have a hotel reservation; otherwise, be sure to pick up an address card before leaving your hotel. With a kind smile and a pen in hand, don't be shy to ask hotel staff to write down the name and address of places you'd like to go so you can show a taxi driver. And if you're headed to an address in a hutong, be sure to note the nearest intersection as well. Don't expect any taxi driver or public transportation worker to speak English. Few Chinese outside of the tourism industry speak English. You'll have a higher -- albeit slim -- chance of successfully striking up a conversation in English with a young person. At the least, they're more likely to have a translation app on their smartphone. Before entering China, you might want to consider downloading the Google Translate app, which includes Word Lens, to translate Chinese characters to English when you snap a photo of them using the app. To say hello in Mandarin, say ni hao ("nee-how"). Thank you is xie xie ("shyay shyay"). As a cosmopolitan city, Beijing is a real treat for foodies. From fine dining down to the dirtiest vendor selling delicious baked yams from a cart on the street, there is no shortage of eating options in the capital city. Another name for Beijing is Peking, and another name for delicious is Peking duck. Think of a whole duck, roasted for an entire day and then carved before your eyes by the wait staff. The best part is the skin, which should be crisp and also succulent from the roasted fat that lies beneath. We highly recommend that you to sit down for a full-course menu of the city's namesake dish. 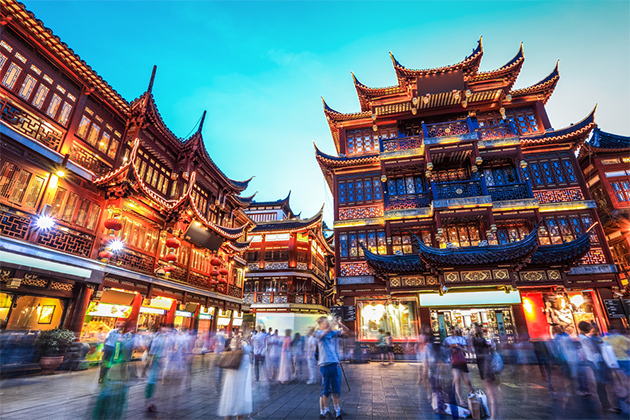 Beijingers like to mix it up a bit, too, and the city responds with a vast array of restaurants that showcase not only international cuisine, but regional delicacies from throughout China -- so you might encounter Mongolian barbecue, Shanghai-style soup dumplings or spicy Sichuan food. Each of China's 22 provinces has an official government office in the capital city, and adjacent to many of these offices are eateries representing the provincial cuisine. For something completely different, remember, you don't have to stay at a five-star hotel to enjoy the decadent comforts that lie within. Many of the city's finer hotels offer all-you-can-eat-AND-drink brunches on Sundays. You'll surely gain a few pounds before you leave, but what a treat to have lobster, foie gras and Champagne brought to you on demand from waiters darting beneath countless crystal chandeliers. Excellent Sunday brunches can be found at the Westin Chaoyang, the Hilton Wangfujing and the Kempinski. And, if you're craving a range of international fare, head to the bustling embassy district of Sanlitun. There you'll see not only plenty of foreigners but also just as many bars and restaurants catering to the masses with every sort of international dish you can imagine. For drinks, if you really want to go local, try baijiu, which is a distilled grain spirit. You may never have heard of it, but thanks to China's huge population, it accounts for more than a third of global liquor consumption. Be careful, though, because baijiu comes in different alcohol percentages, some as high as 60 percent (you do want to make it to your ship, right?). There are all different types, both flavored and unflavored, so chat up a bartender who speaks some English to find the type you'd like to sample; Moutai is one, more upscale, brand to try. Donghuamen Night Market: For a taste of the bizarre, head to this market at the north entrance of Wangfujing Street in the Dongcheng district. Here, you can satisfy your late-night munchies with goodies like deep-fried scorpions, lizards or crickets. Or you can just order some spring rolls and watch everyone else eat bugs. Flamme: Tired of insect cuisine? If you're longing for a juicy steak or a cheeseburger so big you'll need two hands to eat it, then head to Flamme. They offer great deals every day of the week, but the lunch specials are when Flamme really gets hot. Jade trinkets and mahjong sets are fine souvenirs and are hawked in a number of places in Beijing -- or, for something a bit quirkier, consider an original (or reproduction) Mao-era poster, showing heroic workers saving the day. Stop by the Pearl Market, near the Temple of Heaven, for a chance to buy amber, turquoise and, of course, pearls. Be extremely cautious about spending a bundle unless you know your stuff when it comes to gems, though. This multistory market has several high-end jewelers on the top floors, and lower floors have the usual array of trinkets and handicrafts. Panjiayuan, also called the "dirt market" or "weekend market," is the largest (and maybe most entertaining) flea market in China. It's open every day and gets started early, at 7 a.m. (4 a.m. on weekends). You can shop for antiques (beware of fakes), porcelain, jade and woodcarvings, as well as paintings, decorations, knickknacks and just about everything else you could imagine. Don't forget to bargain hard and shop around, too, because many of the stalls will be selling the same merchandise. (18 Huaweili, Panjiayuan lu, Dongcheng district; open daily, from 7 a.m., from 4 a.m. weekends) General shopping hours, aside from the above market, are 9:30 a.m. to 7 p.m.
Have no shame in offering any seller a tenth of the asking price. This is the game you must play when shopping for almost anything in Beijing. Unless it has a barcode and gets scanned by a uniformed employee behind a cash register, the price is negotiable. While haggling can grow frustrating, as long as you can maintain a sense of levity about it, the whole experience can turn out to be fun for both you and the shopkeeper. An effective way to bargain successfully is to think about what an item is worth to you. Set a maximum in your head. Open the bidding at a tenth of what you want to pay, and work your way from there. And when things start to get difficult, just walk away. This will almost always get the price to drop in your favor. A staggering array of knockoff and counterfeit shoes, luggage, apparel and handbags can be found at the Sanlitun Yashow Clothing Market and in the Silk Market near Yong'anli Station on Line 1 of the metro. These markets cater almost exclusively to foreigners. The prices will be higher there, but the workers all speak English and are pretty fun to engage. If you know Mandarin or are shopping with someone who does, you will get better deals. For international brand-name (legitimate) goods at international prices, visit the Wangfujing pedestrian shopping street, The Malls at Oriental Plaza or the Sanlitun Village Shopping Center. Lots of high-end shopping can be found at the Dawanglu subway station in the Xinkong Tiandi Center, too. For more brand-name shopping and dining, check out the Guomao area.